Students in Mrs. Rachel Haider’s Exeter-Milligan English classes have been working hard studying literature of various genres and gearing up for the Nebraska State Accountability tests in writing (NeSA-W) which all 4th, 8th, and 11th graders take in January. 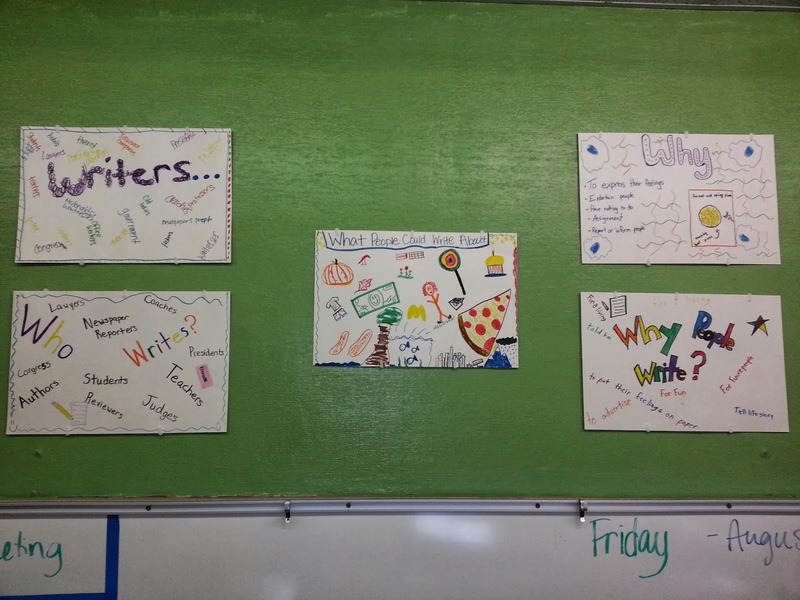 Writing is a school improvement goal for the Timberwolves this year, and thus a major focus across all classes. The first several weeks of the semester we spent learning a writing process to help us generate and then organize our ideas for writing. As we master the writing process we are spending more time producing samples of writing and then working to learn revising and editing strategies. Writing is improving across all grades. Fourteen 9th-12th grade ladies are busy preparing for One-Act Drama competition starting at the end of November. This year Exeter-Milligan is producing a comedy, “Epic Fail” by Bradley Hayward. The show is about 5 high school students who all fail epically at some everyday task. Plan to attend our Dessert Theatre sponsored with the FCCLA chapter on Nov. 10th at 2:30 pm in the Exeter Site Gym. A small admission fee will be collected. Pictured are the 8th grade posters on who writes, why they write, and what they write about.